This petition calls for the reinstatement of Opry legend, and country music star, Hank Williams. Fifty years have passed since the tragic and untimely death of country music’s greatest performer, who made his debut at the Grand Ole Opry on June 11th, 1949. A few years later, in 1952, Hiram Hank Williams was asked to leave the Opry — with the intention that he would sober up and make a return to the stage that he loved so much. Before he could make that return, he passed on, in the back seat of a car on the way to an Ohio show. It’s now 2008, and Hank Williams has yet to be reinstated to the Opry. Hank Williams has been one of the most influential artists to ever record; changing the face of music, and the way that we view country music. Since his passing in 1953, he has posthumously achieved numerous rewards and achievements. In 1961, he was inducted into the Country Music Hall of Fame, and a few years later, he was added to the Country Music Hall of Fame Walkway of Stars. In 1973, he was the recipient of the Pioneer Award by the Academy of Country Music. He received a Grammy for ‘Your Cheatin’ Heart’ in 1983, and was then inducted into the Rock N’ Roll Hall of Fame in 1987. That same year he was given the Lifetime Achievement Award from the National Academy of Recording Arts and Sciences. Life Magazine even ranked Hank Williams #1 on the ‘Most Important People in Country Music’ list. Within his short years with us on earth, he had 11 #1 singles, including ‘Lovesick Blues,’ ‘Kaw-Liga,’ as well as 25 other Top 10 Singles. We, the undersigned, feel that it is past due for Hank Williams’ reinstatement to the Grand Ole Opry. Hank Williams was one of the most influential people to ever record or write music, and his untimely death made it impossible for his to ‘redeem’ himself in the Opry’s eyes, but after 50 years we feel that his legacy has more than made up for any objections that the Opry may have had about his personal life. 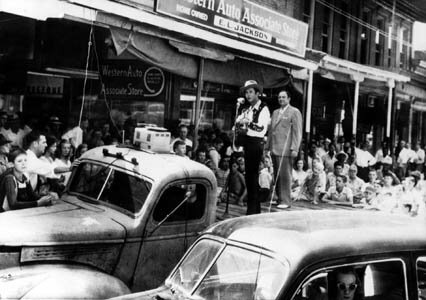 His lyrics and music helped create everything traditional country music became. Sincerely, The fans of Hank Williams, Sr.